One of the most popular bonsai trees is the Weeping Willow. This tree is well-known for its drooping branches, leaves, and flowers. It is the favorite of most bonsai growers because aside from its lovely appearance, it looks dramatic in any kind of bonsai style. The tree is also fast-growing so you will be able to see results in just a few years’ time. The Weeping Willow has originated somewhere in China and thrives in Asia and areas in Europe. It is also found throughout the United States. Bonsai growers also love the Weeping Willow because of its changing appearance. The catkins start in lovely silver color and then turns cream as the tree matures. But despite its lovely appearance, the Weeping Willow has a short lifespan compared to other bonsai trees. Even when properly cared for, a Weeping Willow tree can last approximately twenty-five years. But don’t let this spoil your hopes of growing a Weeping Willow bonsai tree. This tutorial will help you learn how to care for your Weeping Willow bonsai. This will provide you with helpful information on how to feed, water, prune, wire, re-pot and basic care for your bonsai tree. With these techniques, you will have a strong and healthy Weeping Willow bonsai tree in no time. Description This deciduous tree is indigenous to Asia and parts of Europe. The branches arch and hang loosely but gracefully. Young leaves have a silken texture on each side, but they tend to lose the silkiness on the upper side as they age. Catkins adorn the tree in mid-spring, and flowers appear before the leaves emerge. Position The tree prefers full outdoor sun, but will tolerate part-sun conditions. Weeping willows are quite hardy, and are grown successfully in USDA planting zones 4 to 8. Watering Weeping Willow trees like moist, well-drained soil. It should not be left dry for extended periods of time. Over-watering is to be avoided, and standing water can prove fatal to the plant. Feeding The Weeping Willow bonsai tree requires a balanced fertilizer, which should be applied at regular intervals during the growing phase. Leaf and Branch Pruning Regular pruning and pinching-off is highly encouraged because plant growth is exceedingly vigorous. The tree easily achieves twelve inches of growth in one month. Re-potting & Growing Medium Young plants may require re-potting twice in one year because of its rapid rate of growth. Older plants can be re-potted less often. Soil of good drainage and rich, organic matter will ensure successful growth. Wiring Wires are typically used to encourage and maintain the downward fall of the branches. Notes A propensity toward brittleness means that the Weeping Willow tree is relatively short-lived, generally achieving a maximum age of only 25 years. Plants need to be monitored for pests and diseases that include caterpillars, borers, scale, cankers, leaf spots and blights. Because the Weeping Willow bonsai tree tends to grow extremely fast, it will need to be pruned quite often. 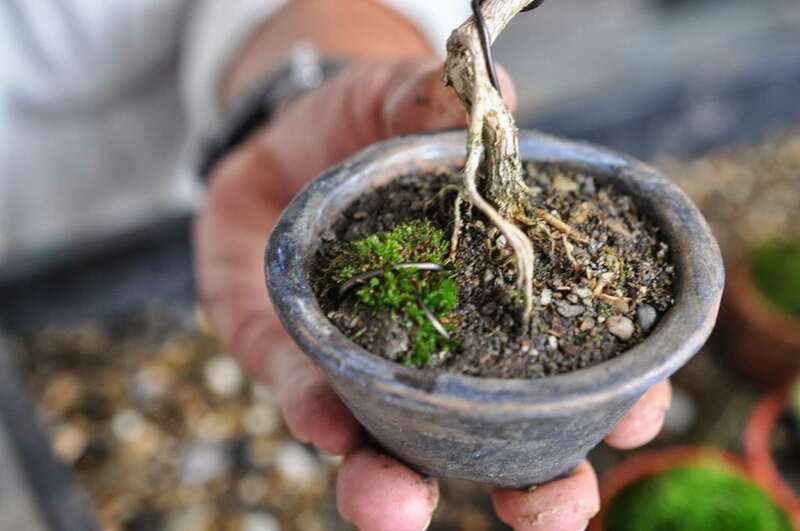 In fact, because this type of bonsai tree grows a lot quicker than other bonsai trees, especially in its youth, it will need to be re-potted a minimum of twice annually to ensure the roots do not break out. It is important to pinch off any new growth as well as prune branches so the beautiful downward look is properly maintained. Because of how quickly this type of bonsai tree grows and how often it has to be maintained, there are some individuals who have a difficult time maintaining the bonsai. It has to be regularly pruned to keep the style. While some bonsai trees only grow two inches annually, the Weeping Willow bonsai can grow a foot in just a single month. Men and women who own this type of bonsai tree also sometimes express difficulties in maintaining the downward shape of the branches. Some of them employ the use of wire to ensure it maintains the right shape. When maintaining the Weeping Willow bonsai, it will need quite a bit of water in order to ensure the soil remains moist. The bonsai tree should not go longer than two weeks without any water. However, a major mistake some people make is allowing the roots of the bonsai to sit in water, as this can kill it. Fertilizing the Weeping Willow bonsai is also extremely important. The fertilizer needs to have potash, phosphoric acid, and nitrogen in the mix. As well, the Weeping Willow bonsai tree needs a lot of sunshine, but it should not be placed in a location where it gets maximum amounts of direct sunlight exposure as it can actually burn the leaves of the bonsai. Unlike certain other types of bonsai trees which can be kept inside the home, a Weeping Willow bonsai tree should be kept on the outside of the home. With a bit of planning, it is very easy to display the bonsai tree on the outside of a home. Some other elements that may be included in the design include small ponds and other water-related features, stepping stones, granite lanterns, or a small Zen garden that includes raked gravel and large rocks. Individuals can also add a small place to sit and relax by the Weeping Willow bonsai tree! For those who are new at the art of bonsai trees, the Weeping Willow is often not recommended as a primary choice for a beginner. This type of bonsai tree is better for those who have better experience with maintenance and tools. This is in large part due to its quick and unusual growth patterns. However, for those who love this art, the Weeping Willow bonsai tree can be a worthy challenge and definitely a good choice. Weeping Willow tree bonsai growers use a young tree. You can purchase Weeping Willow trees directly from online retailers and from garden sites. You can find trees from a local nursery too. AWeeping Willow tree is just one way to grow bonsai. Make sure to purchase from reputable and reliable retailers only. You can also grow Weeping Willow trees from seeds. This will give you ample time to refine your tree starting from its growing phase. And compared to other trees, this tree grows fast so it won’t be long when you have a young tree to care for. You will find traditional Japanese pots available from garden stores or you may purchase pots from local nurseries. But if you wish to follow true Japanese tradition then you must plant your Weeping Willow bonsai in jade pots. But other than pot, you may also use other containers to grow bonsai. You can use regular pots or recycled planters as long as these have adequate drainage. Weeping Willow trees need a balanced fertilizer. You can purchase fertilizer from local garden shops or you may purchase online. You may also use homemade fertilizer or compost but make sure that it has complete ingredients to help your trees thrive well all year-round. Pruning must be done to keep Weeping Willow trees in shape. Since this tree grows fast, expect regular pruning done at least twice a year to remove unruly growths and unnecessary branches that can affect the shape and style of your tree. Weeping Willow plants need to be wired to conform to the shape and style of bonsai you want to create. Working with wires for bonsai training is easy when you have a reliable pair of pliers. You need a pair of pliers to attach wires to the tree and to remove it as well. Wires help control Weeping Willow tree branches and will let help achieve a variety of styles. Wires come in many types and the two most commonly used wires for Weeping Willow growers: anodized aluminum and annealed copper wires. Anodized aluminum wires are used on young bonsais that still has soft trunks. Annealed copper wires are for bonsais that are more mature and have thicker and stronger trunks. You must have clean water for your Weeping Willow bonsai trees. Weeping Willow plants and trees must have a lot of water, especially during warm weather. You can use rainwater or tap water for your plants and no matter what type of water you choose, it’s best to check the quality of your water supply before using on your plants. Water should have a balanced pH, not acidic or basic, to allow plant roots to absorb minerals found in soil, provided by fertilizer and nutrients. Using aggregates with potting soil will improve soil drainage and aeration. Excess fertilizer and water must be drained from the soil to prevent root rot, molds and nutrient toxicity. There are a number of aggregates you can use but the most common areAkadama, sand with coarse grains, decomposed granite, pumic, turface or diatomite. The best soil for Weeping Willow bonsai trees, as well as most bonsai trees, is a sandy clay soil. This type of soil can hold water and nutrients and will also drain the excess away from the roots. Sandy clay soil also improves aeration and will help move oxygen to the roots to further boost tree health. Indeed the Weeping Willow is one of the most popular bonsai trees because of its dramatic drooping appearance. But there is more than meets the eye when it comes to growing the Weeping Willow into a bonsai. One important thing that any grower should understand about this tree is that it grows very fast. It can grow so fast that it can increase in height at about 12 inches per month. This growth spurt affects almost all the aspects of caring for a Weeping Willow. Fast growing trees tend to outgrow their planters or pots two or more times a year. Therefore you need to re-pot at least two times a year and prune the roots regularly as well. There are a lot more techniques to master to be able to grow your own Weeping Willow bonsai tree expertly. The Weeping Willow tree is a deciduous tree and has originated from Asia and parts of Europe. This tree has branches that arch and hang loosely and gracefully. The leaves of this tree have a silken texture on each side. But this silky appearance won’t last long; as the tree matures, the leaves lose this silky surface. You can tell that the tree is already old when its leaves already have a dull appearance. Catkins can be found during mid-spring and flowers appear before the leaves emerge in spring. The Weeping Willow bonsai tree prefers full sun although it can also tolerate part-sun. But to ensure Weeping Willows grow healthy and strong, it should be grown in USDA planting zones 4 to 8. The Weeping Willow bonsai tree will grow in moist, well-drained soil. This bonsai tree should not be left dry especially for extended periods of time. Do not overwater this bonsai because standing water can lead to mold growth and root rot. Water your Weeping Willow bonsai trees when the soil is dry and never when it is moist or wet. The Weeping Willow bonsai needs a balanced fertilizer for optimum growth. Fertilizer should be given to Weeping Willow bonsai on a regular interval. Fertilize regularly during the growing phase to improve plant strength and resilience to diseases. Weeping Willow bonsai trees need regular pruning and pinching. Pinching trees is more recommended compared to pruning because this plant grows rigorously. Pruning should be done regularly to control overgrowth because this can grow 12 inches in a month. Young Weeping Willow bonsai trees need re-potting twice a year due to rapid growth. Older Weeping Willow bonsai trees may be re-potted once or less often in a year instead. Use soil with good drainage to let excess water and fertilizer drain out. Use soil with organic matter to help improve growth and overall health of your plants. Wiring is done to permanently maintain the downward drooping of your trees. Wiring will also help maintain Weeping Willow in other styles like cascading, leaning and more. A Weeping Willow tree’s body is brittle and this makes it short lived. A regular Weeping Willow tree will only be able to grow for about 25 years despite good nutrition and care. Therefore, aside from giving your Weeping Willows the ideal balanced fertilizer, you must also watch out for pests such as caterpillars, scales, cankers, borers, and blights. You must also check for plant diseases which can affect or hinder the growth and development of this type of plant. The Weeping Willow bonsai tree is a standout in every garden because of its fantastic shape and dramatic flowers. Undoubtedly, the most popular feature that will distinguish the Weeping Willow from other bonsai trees is that it has catkins that can start out as silver in color but soon will transform to cream color. The leaves have a silky appearance on both sides. As the tree becomes older, its leaves lose its silk appearance. This is lost its leaves during the time. The branches of this tree bend forward to achieve that dramatic look. Weeping Willow trees are available in most bonsai nurseries. Rely only on reputable growers or retailers. You will find a number of bonsai tree dealers online where you can purchase a healthy Weeping Willow tree. If you are looking for low-priced bonsais a large garden center has the tree and accessories you need. If you are looking for top quality bonsai trees you will find what you need from specialized shops or dedicated sites that sell only bonsai plants. Local bonsai shows and expositions may sell Weeping Willow bonsais because this is a very popular tree species. Aside from buying an actual Weeping Willow bonsai tree, you can also grow your own tree using seeds. If you have a tree in your backyard or neighborhood then you can use this to get seeds to plant. You may also purchase seeds from local seeds shop or from an online site. Many bonsai growers opt to grow bonsai trees from seeds because they get to have a chance to shape and style their trees at an earlier time. There are no special Weeping Willow bonsai tree seeds. Weeping Willow bonsai trees are from regular seeds. Only after good care and refining will you be able to turn your Weeping Willow tree into a healthy bonsai. There are a lot of advantages when growing Weeping Willow bonsai trees from seeds that you have around. You save a lot of money because seeds usually cost a lot. You don’t have to spend time and effort to look for seeds as well. Using seeds coming from trees that you have in your hard is a huge advantage. You already understand its special needs, the tree’s mature size and appearance and important information about how to grow and cultivate it in its own natural environment. Germinating your seeds is the first thing you need to do. Weeping Willow trees grow well in moist soil, especially during its growing stage. Therefore you need to give your seeds good moist ground to germinate. Germinating seeds is very important in growing a healthy bonsai tree. It will help you find out if your seeds are fertile or sterile which saves you a lot of time in cultivating seedling. So to start, you will first identify which seeds will likely germinate and which ones will not use a very simple test. Place your seeds in a glass or transparent container filled with water. You may use tap water or rainwater; it does not matter for as long as this is clean water. Seeds that will float are sterile or non-viable and will not germinate. Seeds that sink are fertile and these sink because of their viable contents. So germinate seeds that have sunk and discard the ones that float. Now that you know which seeds are fertile, you may now germinate these seeds and eventually grow them to become Weeping Willow trees. A large pot is best to germinate seeds. Use a large but shallow pot because this will be able to hold up to 4 seeds. Fill this large pot with peat seed sowing mix. This is available in most garden shops. Place the Weeping Willow seeds on the surface of the mix. Do not place a cover on top of the container because germinating seeds need sunlight. Water the soil to moisten it completely. Water should run off the sides of the container to show that the soil has been completely soaked. Place the seeds outdoors in full sunlight. Keep the soil moist at all times. Check your germinating seeds frequently and always keep the soil soaked. These seeds will germinate for about a few weeks. You may transplantWeeping Willow seedlings to individual pots when these have gained strength. 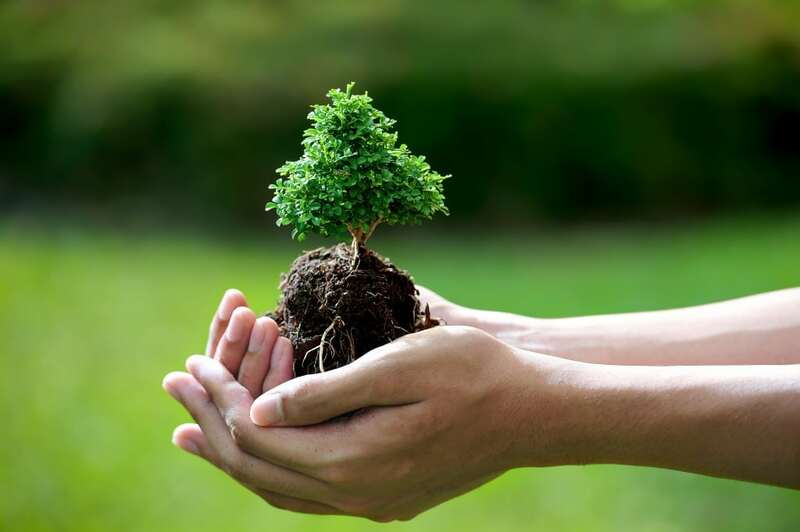 Remember that this tree grows fast and it won’t be long when these seedlings become young trees so you must transplant as soon as these are ready. A small and shallow bonsai pot would be a good starter pot. The ideal planter pot has at least two holes alongside or at the bottom of the pot. Place a layer of coarse substrate or aggregate. This will be your bottom layer. This will remove excess water and fertilizer from the plant roots. This will improve aeration of the soil to allow oxygen to be absorbed in the plant roots. After the layer of aggregates, and bonsai potting soil. Bonsai soil is available in any garden center or bonsai accessories store whether online or offline. Remember to choose soil that will hold more water because Weeping Willow trees need soaked soils. Water your young plants; keep the soil moist. Water your plants at least once a day and never let the soil dry out. Cuttings are parts of a tree that can grow and become another tree. You can take cuttings or clones from a Weeping Willow tree and grow another Weeping Willow. This is a very convenient way to grow more trees without the long wait of germinating and growing seedlings. However, you still need to wait for the cuttings to develop complex roots before it could be planted. Here is step by step information on how to get cuttings from Weeping Willow trees and how to cultivate them. Choose a healthy Weeping Willow tree as a donor. This tree should be in perfect health. It must be growing new leaves and stems regularly, it must be free from molds and any pest infestation and there must be no leaf discoloration or any health issues. Take cuttings from the healthy Weeping Willow tree. This should be a healthy stem that has no issues. Use a sharp knife or cutter to harvest the cutting from the tree. You must cut the cutting from the tree using a diagonal cut. Place the cutting in water to avoid air pockets from entering the stems. Let the cuttings stay in water till these develop roots. When the roots have thickened, the cuttings are now ready to be placed in soil. Water the cuttings daily. Keep the soil moist and this should be watered regularly when the days are warm. Weeping Willow bonsai trees will thrive happily in moist soils but it should never be too wet because it can lead to mold growth. Never let water stand in the soil. Aside from molds, you must be careful in checking for pests like caterpillars, scales, blights and more. This plant will grow exponentially and therefore it needs to be re-potted to avoid root lock. Weeping Willow bonsai trees need soil that can take as much water as it can. It needs soil that can excellently drain water and fertilizer as well. This is very important to prevent nutrient toxicity which can affect the absorption of nutrients as well. The ideal soil to choose is a sandy loam soil. This type of soil will absorb water and nutrients well plus will drain excess water and fertilizer. This also has excellent aeration properties which allow oxygen to pass through the soil to benefit the roots. Sandy loam soil is available from local gardening shops. You may also use your own garden soil provided this has sandy loamy soil qualities. You can also add more aggregates to improve drainage of water considering that Weeping Willow trees need moist soil. 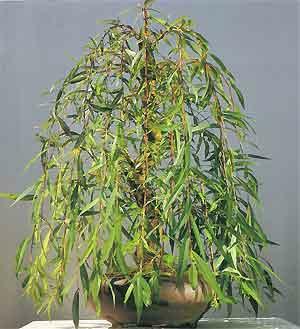 The best pot for Weeping Willow bonsai is a wide and deep pot that can hold more water. Take note that these pots should have good drainage because without adequate holes your tree would be prone to nutrient lock, root rot and molds. Larger and deeper pots need more drainage holes. There must be drainage holes along the sides and the bottom part of the pot. Weeping Willows need wide, deep pots which can hold a lot of water. But still, consider the drainage of your bonsai pots. Prepare adequate drainage for your Weeping Willow bonsai tree because, without adequate holes in your pot, your plant will end up getting root rot or mold. Keep in mind that for large and deep pots about four or more drainage holes should be present. These drainage holes could be found along the sides or underneath the pot. Drainage holes will improve water drainage and a lot more. Drainage holes will avoid nutrient lock in the soil. The nutrient lock is the accumulation of nutrients in the soil that in this makes the soil toxic to plants. Weeping Willow bonsai trees require moist, well-drained soils. It needs a lot of water to be able to grow rapidly. You must not leave this tree unwatered for a long time or for extended periods of time. You must not leave standing water on roots as well because this can lead to mold growth and root rot. Water your bonsai trees when the soil is dry and never when the soil is wet. Weeping Willow bonsai trees should be pruned regularly. However, this tree may benefit from pinching and not from pruning. Pinching encourages branching of the plant because you are removing the main stem. This way, the plant will branch out into two stems from the leaf nodes below the pinch or cut. Pinching must be done regularly especially on young Weeping Willow bonsai trees. The rapid growth of Weeping Willow bonsai trees will require regular pruning. 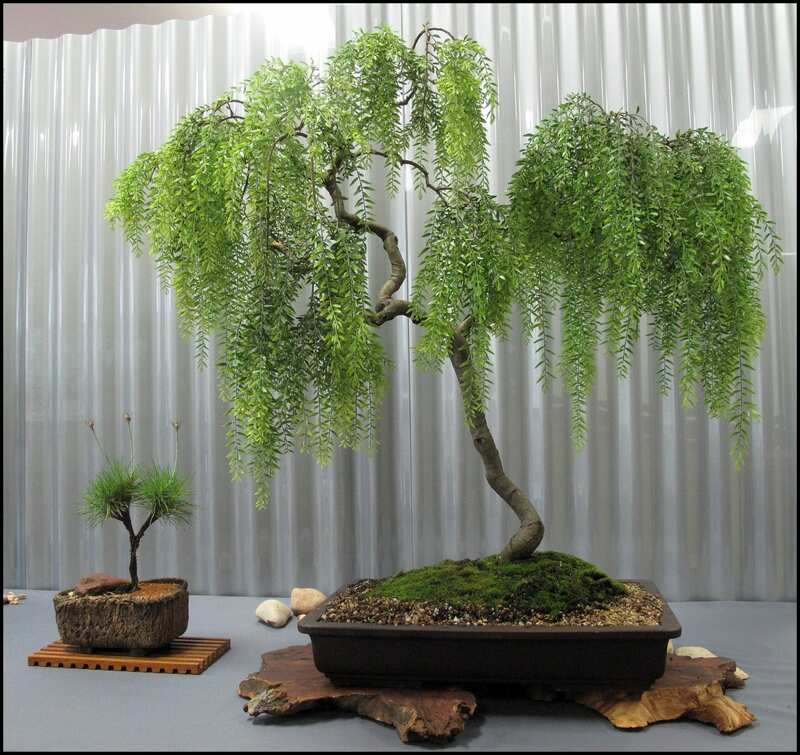 A Weeping Willow bonsai tree may be designed according to a variety of bonsai tree styles. This has to be done as early as possible or while the trunk of the tree is still soft and young. Wiring mature Willows can lead to injury because of its very delicate trunk. Wiring is also harder for mature trees because wood is stiff and moving this can lead to fractures within the tree trunk. Wiring can achieve a number of styles. The Weeping Willow may be wired, pruned and styled to achieve a cascading style, a flowing style or a broom style. Keep in mind though that wires must be applied carefully on Weeping Willow bonsai trunks. This should be removed the same season it was attached as well because this tree grows more rapidly. Wiring is a way to shape and style a Weeping Willow bonsai tree. You will be able to style bonsai trees safely, effectively and quickly when you use wires. Wiring lets you reposition its branches to the shape or style you want to achieve. There are a number of styles that you can use to shape this treeWeeping Willow tree. One of the most popular bonsai tree styles that would be ideal for Weeping Willow trees is the Shakan bonsai growing style. This is the popular slanted bonsai tree style and looks like a miniature slanted tree. The trunk is made to protrude from the soil in a slanted manner. The rest of the tree straightens out in an outward position. The trunk is in a 60-80 degree angle which completes the slanted style. This style is achieved by strong wiring to control the growth of the main trunk. Wiring may be used to control the height of the branch as well. Using strong lighting from one direction will also help bend the tree to create that slanted and windswept look. The Dramatic Fukinagashi is like a windswept head of hair during a storm. This is a good style to follow for a Weeping Willow bonsai tree and although it may look exotic, it can be more common especially for this type of tree. In the Fukinagashi style, the branches and the trunk will grow to one side for that realistic effect of strong winds blowing from one direction. Wiring should be done carefully for Weeping Willows because it has delicate branches and trunks. The Shari Bonsai Style is all about shaving the bark of the tree to keep new growth from appearing. This is also known as the stair effect because branches may be long or short and achieved through wiring and pruning. The leaves at the top of the tree create aesthetic balance. 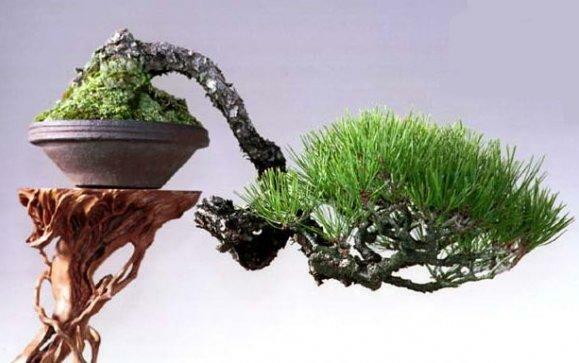 The Shari bonsai style is according to the natural development of trees and plants. You will also find a bald or barkless area on the trunk in a Shari bonsai style and this is usually due to the effects of harsh weather conditions. The Seki-joju or Rocky Terrain style is all about growing bonsai roots around or through an obstacle. The obstacle may be anything in nature like a jagged or smooth rock. This happens naturally when the roots of the tree grow underneath and at the sides of nearby rocks. Roots will also naturally crawl around the rock surface and all these happen as the trunk of the bonsai forms. The tree will grow in a straight manner despite various obstacles in its path. The Seki joju or Rocky Terrain bonsai style is mostly done in trees with good roots. The Literati style is a bonsai style with a skinny trunk and curved leaves. Many growers and bonsai enthusiasts agree that this style depicts the struggle in nature for even the smallest form of life to survive. You will find a few bald spots along the trunk to recreate dead branches. The Literati bonsai style is found in nature in trees that grow in densely populated areas. The Han-kengai bonsai style has a cascading effect. A section of the trunk grows straight while a branch grows outward and slightly downward. A small area of the trunk may be seen before the section where the thick branches are located. These branches are in different directions and develop low-lying leaves. A bonsai with a Han-kengai design needs a deeper pot to preserve the style. Start wiring a Weeping Willow bonsai tree as soon as it is strong and wiring can be done any time of the year. Apply wire carefully, do this during the growing season or as the branches grow thicker. When you wire later or when the tree is mature, it can cut through the bark which can lead to ugly marks and scars. Don’t forget to remove the wire when it scheduled to do so. When the branches are wired, check your bonsai tree constantly for any problems. Weeping Willow bonsai trees use only two kinds of wires. You can use are anodized aluminum and annealed copper. These are used to train bonsai plants but there are differences between these wires. Aluminum is for deciduous trees that have harder and stronger trunks while copper wires are for species with harder trunks like conifers and pines. If you are new to wiring bonsai then you must initially use anodized aluminum wires because these are easier to handle. This is also readily available anywhere. Wires also come in a variety of thicknesses and the most commonly used is the 1 mm to 4 mm wires. Raffia is used to prevent injury in branches and trunks that are wired. Raffia is palm fiber available from garden stores. This is soaked in water before it is wrapped along the tips of the branch or bark. Raffia will protect these from damage as a result of bending and moving. Choose the type of wire appropriate for the type of tree that you are styling. Choose the thickness of the wire you will use. Measure the length of wire that you need. Wrap the wire neatly in line along the branch. When you are done wiring, cut the excess using pliers. Gently bend the branches into position. Do this slowly to avoid damaging the plant or tree. To bring down high branches, you may use a guy wire. Wrap a protective material or raffia around the branch and place a hook at the end. Secure the hook with a slender piece of wire and anchor it on a strong root. This will bring down the branch that is too high. Check wired Weeping Willow trees regularly because the tree grows very rapidly. Remove the wires during the same season. After wiring, take note of the growth of your Weeping Willow bonsai. Place it in a shaded area of your garden and give it water daily. You must feed it balanced fertilizer that this tree requires. After wiring your Weeping Willow bonsai tree remember the following tips. Place this in a shaded area of your garden so it can regain its strength and health. Never leave it in direct sun. Give your bonsai nutrients from balanced fertilizer so it can recover from wiring and pinching. Remove the wires on schedule to avoid damage to the bark. Remove the wires by cutting the wires at every turn. Never reuse the wire for wiring other branches. Remove wires at every turn to make it easier to turn. Monitor plant health and let this rest before pinching it again. Weeping Willow bonsai trees need to be watered daily and love moist soils making this very susceptible to mold growth and root rot. To prevent this, never water the soil unless it is dry, but not too dry. You must also use the right soil which is sandy clay soil and use the ideal planting pot to grow Weeping Willow bonsai trees. When it comes to pests, there are a few that plague Weeping Willow trees. This is susceptible to caterpillars, blights, and mites and therefore you must be very cautious. Inspect your bonsai trees daily. Check even the underside of leaves because this is where most pests bite into because it’s softer and more succulent. Use water in a spray bottle to get rid of pests. Simply spray away pests before these eat your hard work away. You may also use pesticides provided that these are safe to your plants. Check out pesticides from a local bonsai dealer or garden store and make sure to follow instructions on the label. There are also some diseases that Weeping Willows are susceptible to. Monitoring your bonsai plants daily and making sure that these are in good shape will reduce the chances of getting any disease that can ruin your Weeping Willow bonsai tree. A Weeping Willow bonsai tree is lovely, graceful and easy to grow. It can grow exponentially and will be able to bear lovely flowers faster compared to other trees. But despite its beauty and quick and easy growth, it won’t last as long as other trees. Even with proper growing techniques, a Weeping Willow bonsai tree will grow only up to 25 years. A Weeping Willow bonsai tree needs to be in great shape all year long. It requires regular pruning or pinching and wiring. This also needs frequent watering and balanced nutrients to grow well. This tree can be styled to a variety of bonsai tree styles because of its dramatic flowers and branches. A Weeping Willow bonsai tree can grow fast but it is susceptible to a variety of conditions. Because of its love of water, it can develop root lock and molds. It has delicate branches and trunks so care is needed when pinching or wiring. It is susceptible to pests so you must be very critical about the health of your plants and inspect these daily. This bonsai tree loves the sun but should be placed in a shaded part of your garden so it can grow comfortably. You must also re-pot it at least twice a year because of its rapid growth. When given the right care and attention, your Weeping Willow bonsai trees will reward you with lovely blooms all year round.